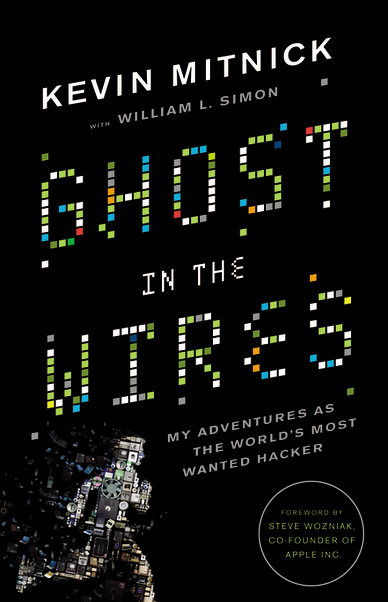 Kevin Mitnick's latest Book : Ghost in the Wires - My Adventures As The World's Most Wanted Hacker ! Kevin Mitnick, the world's most wanted computer hacker, managed to hack into some of the country's most powerful - and seemingly impenetrable - agencies and companies. By conning employees into giving him private information and maneuvering through layers of security, he gained access to data that no one else could. The suspenseful heart of the book unfolds as Mitnick disappears on a three-year run from the FBI. He creates fake identities, finds jobs at a law firm and hospital, and keeps tabs on his myriad pursuers - all while continuing to hack into computer systems and phone company switches that were considered flawless. A modern, technology-driven adventure story, GHOST IN THE WIRES is a dramatic account of the joy of outsmarting security programs, the satisfaction of code-cracking, and the thrill of unbelievable escape.